PhM 3/c William T. Mathis, son of Mr. and Mrs. E. E. Mathis, attended Frederick High School. 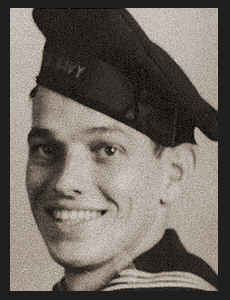 Entered Navy in 1942, trained in Norfolk, Va., San Diego, and Oceanside, Cal. and Florida; served in Panama, S. America, Africa, Italy, France, the Philippines and Japan; is now on duty aboard the U.S.S. Lowndes. Awarded EAME Ribbonand Asiatic Pacific Ribbon with two Battle Stars.